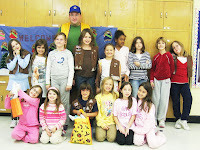 On Halloween, girls from nine Brownie Girl Scout troops collected more than candy during Trick-or-Treat. 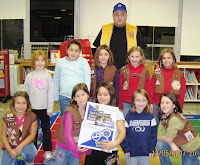 This is the second year the Horsham Lions Club has partnered with Girl Scouts to collect eyeglasses. This effort is called Sight Night, it's led by the Gift of Sight foundation, and you can learn more by visiting their website: www.SightNight.org. Photos of some of the troops are below. Click each for a larger version. The Horsham Lions thanks all nine troops for their generous effort at helping Lions to preserve sight worldwide.